Green Day Landscaping & Lawn Care, Pace, Milton, Pensacola Florida area. 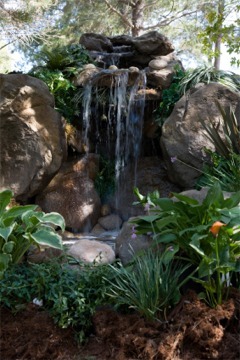 landscapes, softscapes, hardscapes, lawn maintenance and landscape designs. Complete Landscape Maintenance pakages available. Eco-Friendly services provided at great value. Schedule an appointment today. Green Day Landscaping and Lawn Care Maintenance Specialists serving the Pace, Milton Gulf Breeze and Pensacola Florida area. Green Day, Inc. Landscaping and Lawn Specialists provide professional, year-round landscaping services to the Greater Gulf Coast area (Pace, Milton, Pensacola, Gulf Breeze, Navarre Florida). Our design team can transform your residential or commercial property into an outdoor oasis. Green Day Landscaping and Lawn Specialists are committed to helping each client fulfill their landscape dreams. At Green Day, landscaping is our passion, and creating the perfect outdoor living area for our Escambia & Santa Rosa county Florida customers is our top priority. 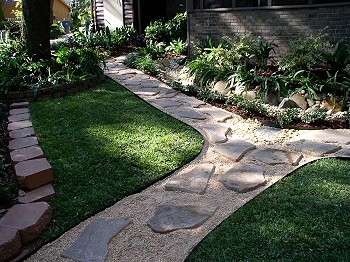 As Gulf Coast landscapers we understand the importance of beautifully landscaped & maintained property. Our professional design team will work with you to transform your "landscaping into art." Green Day is a locally owned & operated company that specializes in a large variety of landscaping services - from landscape design & installation, landscape renovations, to residential & commercial grounds & property maintenance. Green Day is fully licensed & insured. We consistently provide high-quality reliable services to our customers. So whether you’d like to completely remodel your back yard to include that serene little pond that you’ve always dreamed of, or if you simply need assistance with the maintenance on your current landscape - Green Day Landscaping and Lawn Specialists are there for you.